Forget the Milky Way! This is the Rabbids Way! 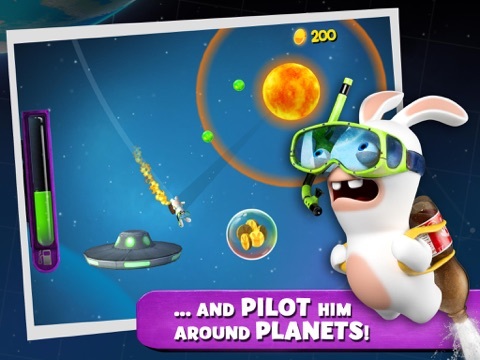 Rabbids Big Bang is the first Rabbids physic-based game on mobile devices that lets you pilot a Rabbid in space with the tip of your finger! 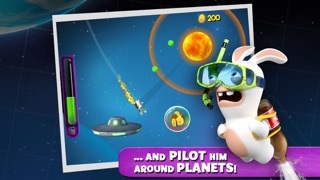 BECOME AN EXPERT RABBID PILOT WITH ONLY ONE FINGER! * … and control its trajectory using the jetpack and planet gravity. * Play tactically as your fuel will drain when you boost. * Don’t crash into the planets... unless you’re asked to! 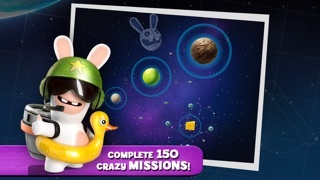 * Explore 10 different wacky galaxies each of them offering 15 missions. * Bounce on Space Duckies, hit Space Cows, or fly your Rabbid to the Sun. * Use our ranking system to progress with your Rabbid and unlock achievements. * Collection coins to upgrade the jetpack and increase its power. 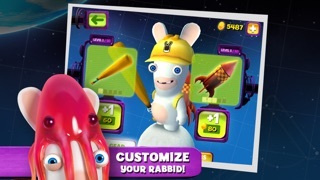 * Customize your Rabbid with new helmets, bats and more for the funniest looks. 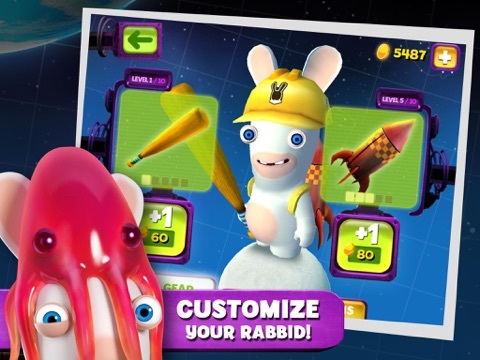 * Equip your Rabbid with special items and master the galaxy of fun! 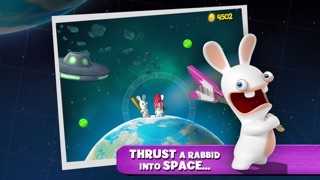 Space cows, cheese planets, UFOs… Your Rabbid will have more than one occasion to scream Bwaaah…and so will you! 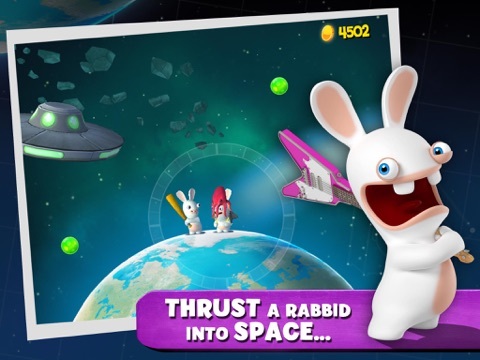 If you are on a 2G/Edge network, try to put the device in "Airplane mode"
Rabbids Big Bang is made for your children! It includes a parental gate that prevents accidental in-app purchases. This game can be downloaded over the air, no Wi-Fi needed to play! Game available in: English, French, Italian, German, Spanish, Japanese, Chinese, Korean, Brazilian Portuguese and Russian. 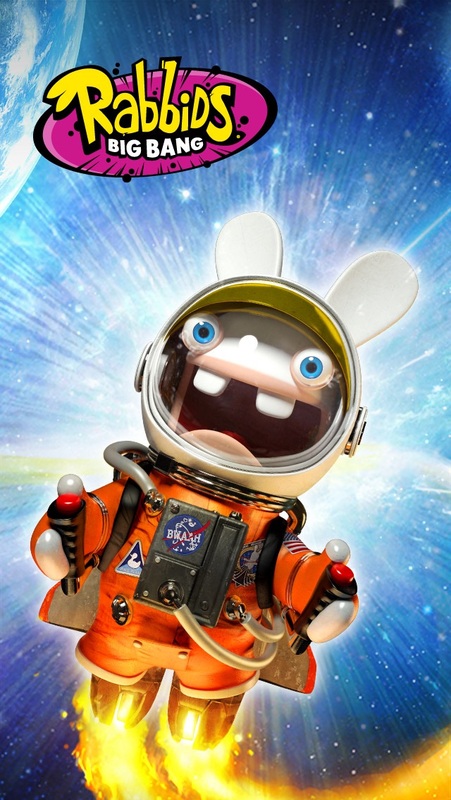 Celebrate Easter with the Rabbids! They’ve all dressed up especially for you! 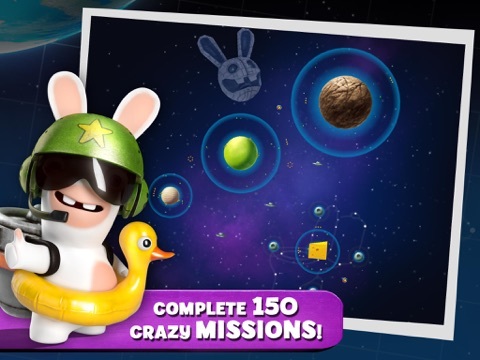 The Rabbids Galaxy is expanding! Discover Duck Fields, an all-new crazy world including exclusive new planets: Stasis, Turnippos, Lettus, Stanley, Bali, Balo, Sebon, Sebum and Caseus. 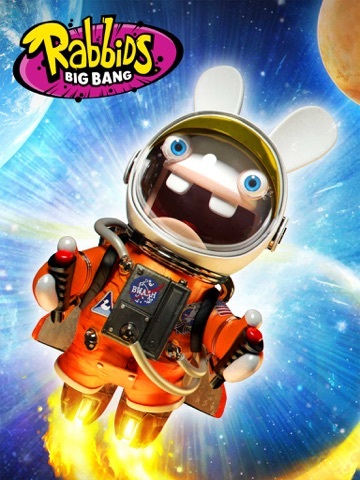 Rabbids Big Bang now supports iOS game controllers! 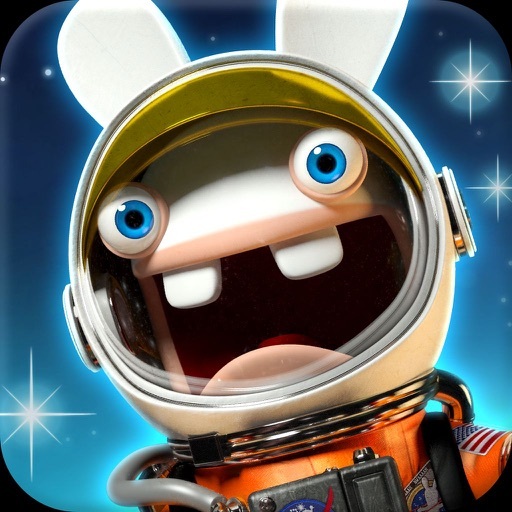 Control your wacky little Rabbids with a pad and enjoy a console gaming experience in a game fully optimized for your mobile device.